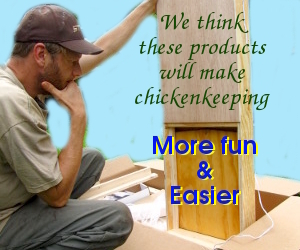 We ordered 25 unsexed chicks from Cackle Hatchery this year. Australorps, Rhode Island Red, New Hampshire Red, Buff Orpington, and Dominque were the breeds we selected. Why didn’t we hatch them ourselves? Because we only have two good breeding hens and it’s always fun to experiment with a new breed. We’ll probably use Cackle Hatchery again the next time we don’t want to incubate due to how strong and hardy these chicks are.